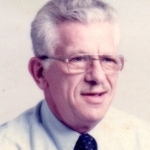 William C. “Bill” Smith, age 93, of McKean, passed away Friday, January 25, 2019 at Pleasant Ridge Manor where he resided the past two weeks.Born in Summerville, PA on March 14, 1925, he was the second son of the late Sam R. Smith and Alice Elizabeth Richards Smith. William served in the U.S. Army from July 1943 to February 1950 in the European Theater and also the South Pacific in Manilla. He belonged to the American Legion Millcreek Post and he retired from Reslink and Wiggers, and Fleet Sales and Parts where he was a truck mechanic and wrecker operator. Bill enjoyed roller skating, bowling, and camping. Family survivors include his wife, Ruby Brocious Smith, whom he married May 29, 1947; three sons- William Jr. “Chuck” Smith and wife Elaine, Gary Smith, and Ronald Smith, all of McKean; a grandson, Daniel Charles Smith, and a great-grandson, Erik Smith, both of Erie; a brother, Tom Smith of Erie; and many nieces and nephews. Besides his parents, he was preceded in death by a twin son Donald Smith, a brother Richard Smith, and a sister Dorothy Dempsey. 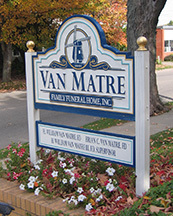 Friends will be received at Van Matre Funeral Home in Edinboro on Monday from 1-3 p.m. A funeral service will follow at 3:00 p.m. officiated by Rev. Barb English of the McKean United Methodist Church. Burial will be in Erie County Memorial Gardens. Rest In Peace Uncle Bill. You lived a long life. Ruby, the Yohe sisters have you on our thoughts and prayers. We love you! RIP Uncle Bill. We love you and are lucky to have known you.